In 1820, he moved to Stettin in Prussia (now Szczecin in Poland), where he worked as organist and music director of the school. It was while there that he did most of his work as a composer, publishing a version of Goethe's Erlkönig in 1824 (written 1817/18) which some say rivals Schubert's far more famous version. He went on to set many other poets' works, including Friedrich Rückert, and translations of William Shakespeare and Lord Byron. On 20 February 1827, he conducted the first performance of the 18-year-old Felix Mendelssohn's Overture "A Midsummer Night's Dream", Op. 21. He and Mendelssohn were also soloists in Mendelssohn's Concerto in A-flat major for 2 pianos and orchestra. Later in life, Loewe became very popular both as a composer and as a singer. As a youth, he had a high soprano voice (he could sing the music of the Queen of the Night in The Magic Flute as a boy), and his voice developed into a fine tenor. He made several tours as a singer in the 1840s and 1850s, visiting England, France, Sweden and Norway amongst other countries. He eventually moved back to Germany, and, after quitting his posts in Stettin after 46 years, moved to Kiel, where he died from a stroke on 20 April 1869. 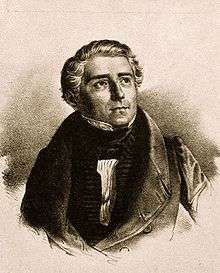 Loewe wrote five operas, of which only one, Die drei Wünsche, was performed at Berlin in 1834, without much success; seventeen oratorios, many of them for male voices unaccompanied, or with short instrumental interludes only; choral ballads, cantatas, three string quartets (his opus 24,) and a pianoforte trio; a work for clarinet and piano, published posthumously; and some piano solos. In 1875, at Bayreuth, Richard Wagner remarked of Loewe, "Ha, das ist ein ernster, mit Bedeutung die schöne deutsche Sprache behandelnder, nicht hoch genug zu ehrender deutscher Meister, echt und wahr!" (Ha, that is a serious German Master, authentic and true, one who uses the beautiful German language with meaning, one who cannot be sufficiently revered!). Several recordings of Loewe's ballads and other lieder are available on CD, sung by vocalists such as Josef Greindl, Hermann Prey, Dietrich Fischer-Dieskau, and Kurt Moll. Additional recordings can be found on YouTube. Female singers rarely sing, or record, his music. In 2012 an urn thought to contain the heart of Carl Loewe was found inside the Szczecin Cathedral's southern pillar during the renovation works carried out that year. A special commission appointed by the Szczecińsko-Kamieńska Metropolitan Curia has deduced, on the basis of historical records and an inscription on the pillar, that the urn indeed contains the heart of Carl Loewe. ↑ "Portland Chamber Orchestra". Archived from the original on 2008-08-07. Retrieved 2013-06-30. ↑ "The Wurlitzer Collection". Archived from the original on 2008-10-06. Retrieved 2008-07-16. ↑ "2004 Loewe Festtage Program, with Premiere of E-minor Symphony" (in German). Retrieved 2008-07-16. ↑ "Records International Description of cpo Loewe Sonatas CD". July 1997. Retrieved 2008-07-16. ↑ Hans Joachim Moser, Das Deutsche Lied seit Mozart (Berlin 1937), p. 135, note 2. 1 2 Ewan West, "Loewe, (Johann) Carl (Gottfried)", in The New Grove Dictionary of Music and Musicians, edited by Stanley Sadie (London: Macmillan Publishers, 1980); also in 'The New Grove Dictionary of Music and Musicians, second edition, edited by Stanley Sadie and John Tyrrell (London: Macmillan Publishers, 2001). ↑ "Unusual discovery in the cathedral". Retrieved 2012-03-24. ↑ "To najpewniej serce Carla Loewe! Komisja potwierdza" (in Polish). Retrieved 2012-03-24. Chisholm, Hugh, ed. (1911). "Löwe, Johann Karl Gottfried". Encyclopædia Britannica (11th ed.). Cambridge University Press. Ezust, Emily (maintainer). "The Lied and Art Song Texts Page: Johann Carl Gottfried Loewe". Retrieved 2008-07-16. Salmon, John (1996). The Piano Sonatas of Carl Loewe. New York: P. Lang. ISBN 0820418900. OCLC 26761454. Wikimedia Commons has media related to Carl Loewe. "Carl-Loewe-Gesellschaft" (in German). Retrieved 2008-07-16. "Löwe, Karl". New International Encyclopedia. 1905.